Shanna was admitted to the Jamaican Bar to practice law in the island in 2010 and immediately joined the boutique firm of Pollard Lee Clarke & Associates where she interned for two consecutive years prior to her call. Shanna obtained her degree in Law from the University of the West Indies with honors and her Practicing qualification certificate from the Norman Manley Law School, Kingston, Jamaica. Shanna has practiced chiefly in the areas of civil litigation which includes but is not limited to litigation in relation to personal injuries, negligence claims, family and custody matters, commercial claims, banking matters, company law, landlord and tenant disputes, debt collection, property related claims and estate proceedings. 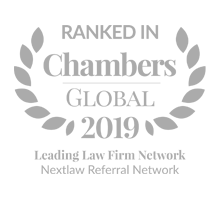 Shanna in addition to civil litigation has gained wide experience in conveyancing, commercial, company law, estate and other non-litigation areas of practice. Shanna has regularly participated in Court mandated mediation sessions before the dispute resolution foundation of Jamaica and possesses a certificate in dispute resolution and utilizes those skills to broker settlements on behalf of her clients. 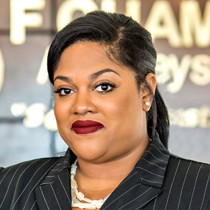 In 2013 Shanna made the bold move here to the beautiful Turks and Caicos Islands where she has been working as a supervisor in the Civil Litigation Department of F CHAMBERS. Shanna provides crucial support to her department and is described by her colleagues as a pleasant and approachable people oriented individual. Her traits of efficiency, determination, loyalty and integrity make her an excellent asset to the firm. While Shanna is not eligible for call yet in the Turks and Caicos she has hopes of joining the noble Bar here some day and as such keeps her litigation skills active by maintaining a healthy client base in Jamaica where she travels to regularly to assist in matters at all levels of the Court system in Jamaica including appearing successfully in the Jamaican Supreme Court and Court of Appeal. Shanna therefore brings with her a wealth of knowledge in the areas of negligence claims, recovery of debt, taxation law, property law, intellectual property, employment and labour law insurance law, defamation, personal injury, matrimonial proceedings, probate and estate proceedings, and constitutional law where she has had very high success rate. Prior to commencing her career as an attorney-at-law, Shanna worked in the banking as well as the insurance industries. Shanna is a gourmet chef who enjoys displaying her talent to her close friends and family on the rare occasion that she finds the time.